This post contains affiliate links, which means I receive a commission if you make a purchase using the links in this post. I received a complimentary product in exchange for an honest review. All opinions are 100% my own. Cammeo Head to Toe Turns One! A year ago this April marked the one year anniversary of my other, slightly less demanding and not nearly as cute baby – my blog. Oddly enough, it took having a baby to get the courage to launch my own blog, as if I needed one more thing to tackle. I had just returned to work full-time, was still nursing a 6 month old baby through the night, and figured – “Hey, I’m up at 1am anyway, might as well write.” As crazy as it sounds, looking back at this year, I am so glad I did it. Becoming a mom truly does change the whole life game – it’s as if everything before now was just rehearsal for my “real life” to start. Everything I thought I knew about myself and what I wanted for my future, was turned upside down and inside out. Starting this blog awakened my true love for writing, something I always had a passion for growing up and somehow had pushed aside along the way. 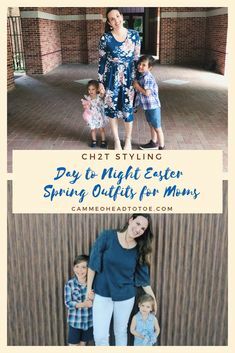 It also has given me a creative outlet I so desperately needed, not only to pursue my personal styling, but it served as a way for me to express myself in ways that are so crucial when deciphering your life as a new mom. I spy with my little eye…espadrilles, espadrilles, and more espadrilles. I’ve honestly never been a huge fan of the espadrille sandal. I think the last time I owned a pair was in the 90s, and I was pretty content to leave them there – but that was before “The Great Espadrille Takeover of 2015.” I mean seriously, it’s everywhere (amirite?). Now, I’m not one to jump on just any bandwagon trend, especially when it comes to my shoes – but you can’t deny the cuteness factor of the new wave of espadrilles. Flats, this is. The first time I laid my eyes on a Ripley Rader jumpsuit, it was donned by a chic coworker who styled it so effortlessly that I just had to have one. Believe it or not, I bought this navy classic jumpsuit when I was 3 months pregnant and rocked it all the way to the end – that’s how versatile her styles are. 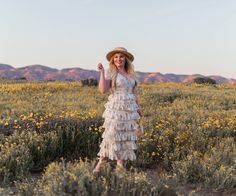 Now, as if she read my mind, Ripley Rader’s latest S/S15 collection includes everything from maxi wrap dresses and A-line sheaths, to sophisticated crop tops paired with a wide leg pant – not to mention the most luxurious kaftan this side of Palm Springs. I was fortunate enough to snag an invite to the fashion show debuting the new line. Now that NYFW has officially ended, I’m rounding up just a few of the designers and trends that caught my sartorial eye. 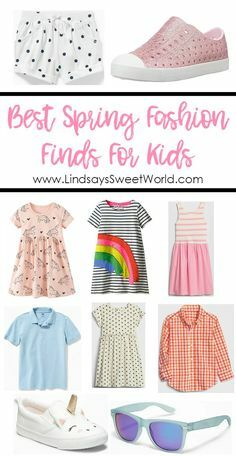 I must admit, I had a hard time choosing just 5 – but I’m a stickler for the rules, so head on over to my “What to Wear” Pinterest board for a few more picks if you so desire. A week ago I set out on the perilous, and at times tedious, hunt for the great white…t-shirt that is. If there’s one thing I’ve learned about shopping – it’s always when you’re looking for a certain piece of clothing, that it’s nowhere to be found (amirite?). Luckily I’ve perfected the art of the “power shop”, with the arrival of my son Garrett, and set out like a woman on a mission. My mission was simple (and I chose to accept) – locate a single destination where you can hit up at least 4 stores (3 is too little and 5 is overwhelming). Fortunately, living on the Westside of LA has its perks where you can choose from Beverly Center/Beverly Connection, Westfield Century City, The Grove, and Santa Monica Place/3rd Street Promenade. On this particular day, I chose to power up for my shopping trip by lounging on the beach before hitting up the stretch of stores along the Promenade. What is a Birk-off, you may be asking? It’s a new term I coined after laying my eyes on a whole display full of Birkenstock knock-off sandals at Nordstrom on Saturday. Pret-a-Reporter goes as far as calling this style of sandal “fugly yet fab”, and Nordstrom features them as the latest trend in “earthy cool” cork footbed sandals. I’ve always loved the brand Seychelles for their comfortable and quirky style, so I did a major double-take when I spotted their new line of Birk-offs (it’ll catch on, you’ll see). I snagged my own pair of zebra-print thong sandals – thanks to my more than generous husband, who brought me back to mommyland after straying too far to oogle at the gallery-like wall of Jimmy Choo’s…can’t a girl dream a little? That is the question I have been asking myself ever since the crop top made a resurgence from its resting grounds, the early 90s. Needless to say, it brought back some interesting fashion memories of my early teen self. In fact, I can still hear my dad saying to “turn right back around and put something on that covers up more than your pinky finger”.